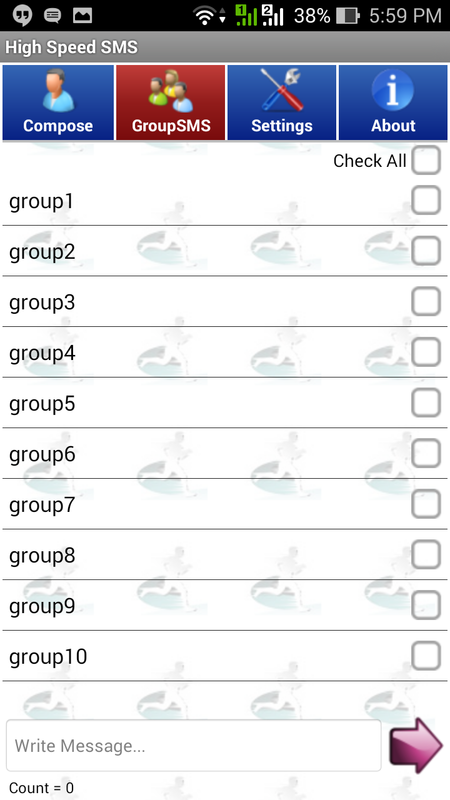 This is very useful application for sending SMS to group of people from Android phone-book. This application sends SMS through internet based SMS gateway in place of telecom service provider SMS plans. Application has dynamic facility for choosing right SMS provider from setting menu. This tested against Indian(+91) SMS service provider. HighSpeed Web SMS is Made for Bonrix SoftWare Existing Clients . 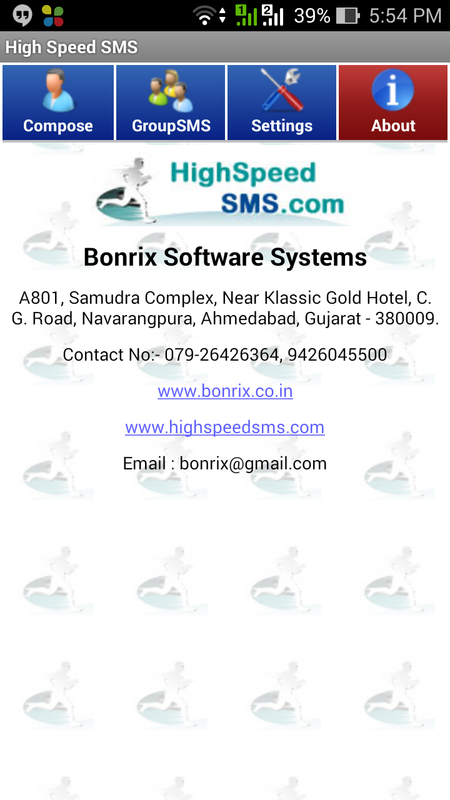 HighSpeed Web SMS user can put their User ID Password & Sender name Details In Required Field and Then They Can Able To Send SMS on their Complete Contact list or Group They have made on Bonrix SoftWare Web Login . It Is Very Useful In black out days ( Festive Days ) When Normal Indian Operator Charges Are get Hike for SMS Services , At The Time without Using Any Single penny of your SIM User can Send SMS To his Complete Contact list . HighSpeed SMS is a simple application to send bulk messages powered by HighSpeed SMS(http://www.highspeedsms.com/). 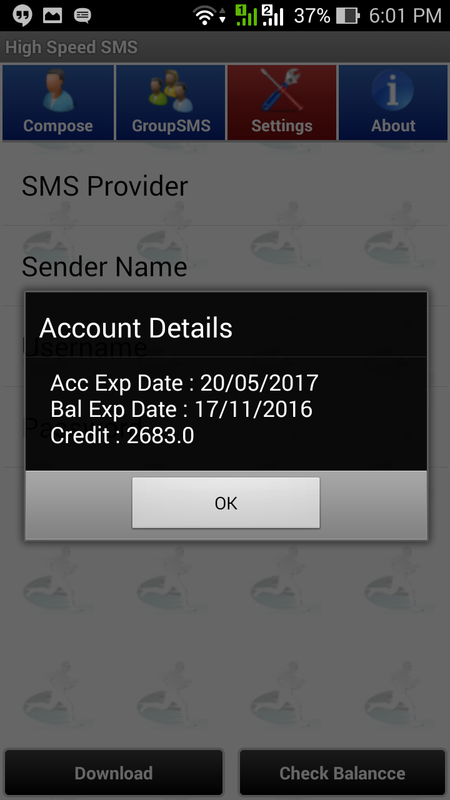 Existing customer of Bonrix SoftWare bulk sms service can use this application with their Bonrix SoftWare username and password. If you are not an exiting Bonrix SoftWare customer please go to Bonrix SoftWare website (http://www.highspeedsms.com/) to get a demo account and a free quote. 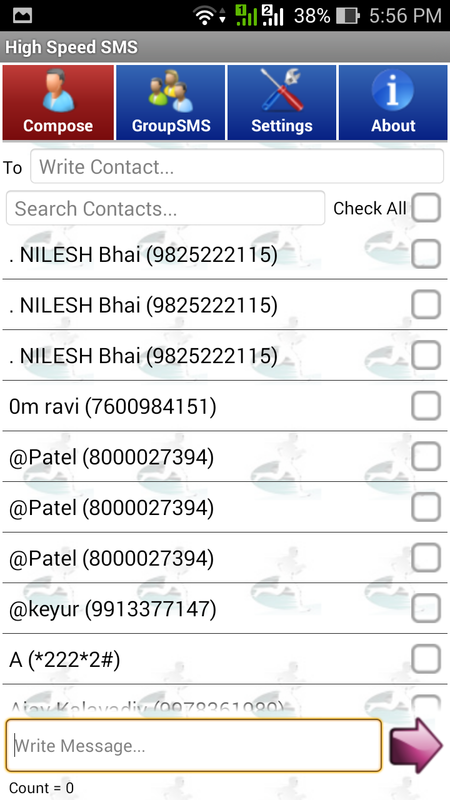 - Load contacts from mobile directory. - Load contacts from text file and send generic messages to all. - Check balance and delivery status. 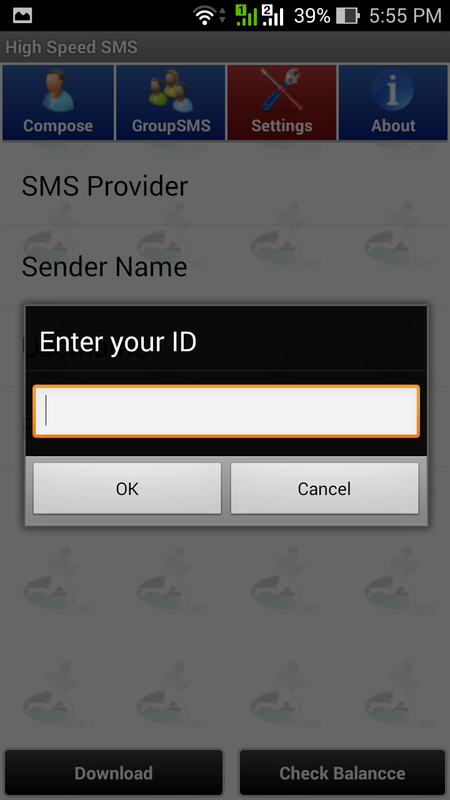 - Login with HighSpeed Sms username and password ans use any sender Id while composing messages. - Contact Bonrix SoftWare System support via direct mobile numbers.